Layers of chocolatey-ganachy-cheesecakey-fruity goodness in this tart. These fillings make enough to fill a 12” tart dish (like the one pictured) PLUS another 7x11 dish (it’s a fairly shallow tart, which is ok since the flavours are pretty rich)! Turn heat down to medium low, let simmer and stir occasionally until berries are very soft and liquidy. Use a spoon (or a squeeze bottle, if you’re feeling fancy) to distribute the coulis across the tarts. 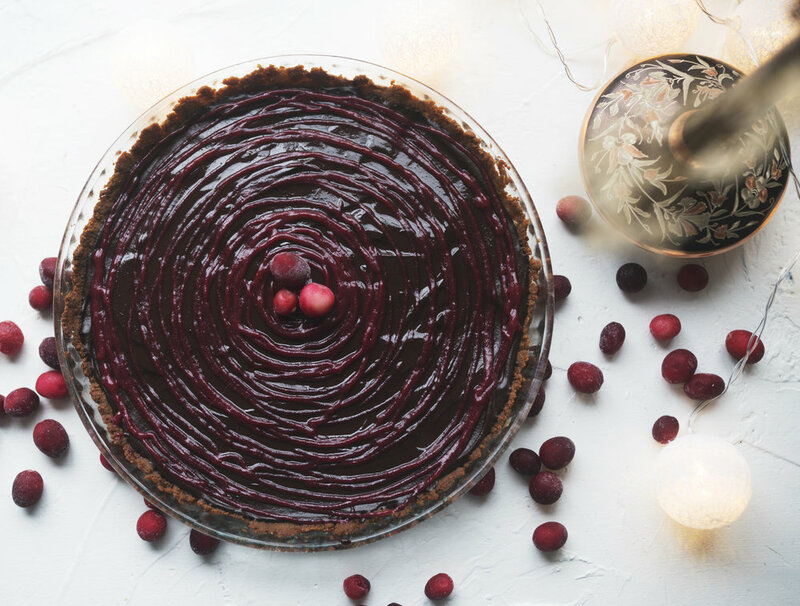 Refrigerate tarts until right before serving, garnish with fresh sugared cranberries.